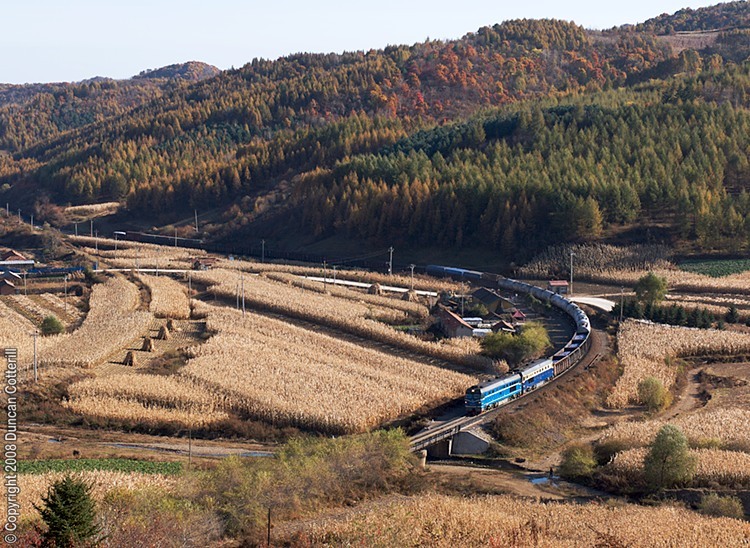 A pair of DF4Cs, led by DF4 4231, crested the summit north of Gangou with a northbound freight on 6 October 2008. The (unofficial) name Rabid Dog Summit dates back to the early 1990s when western enthusiasts visited the area to photograph QJ hauled freights. No prizes for guessing why it got its name.